Each year, Martech Conference Chair Scott Brinker unveils a new graphic featuring the logos of all the martech solutions in the Marketing Technology Landscape. Spoiler alert: There are a lot. 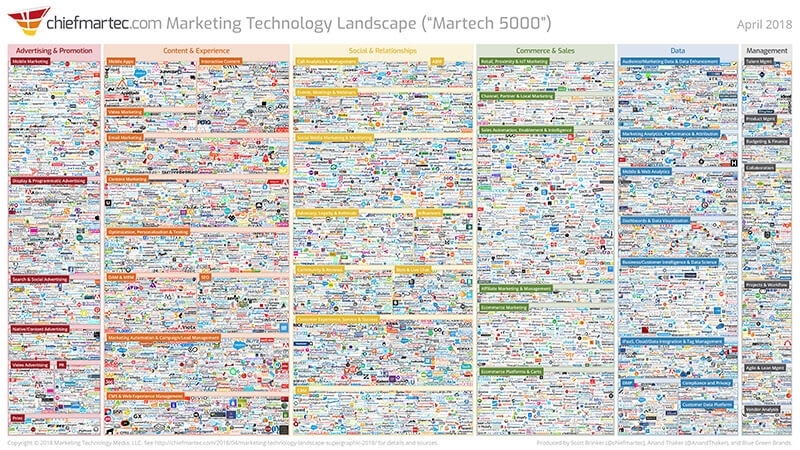 Note that though it’s called the Martech 5000, it actually comprises 6,829 companies. Innovation and demand continue to drive the explosive growth in martech, but are we facing an overload? How can a marketer cut through the fluff and hype and find solutions that are right for them? Brinker and Anand Thaker, chief executive officer and founder of IntelliPhi, discussed these questions in a webinar last week (available on demand) to help marketers untangle the martech landscape. 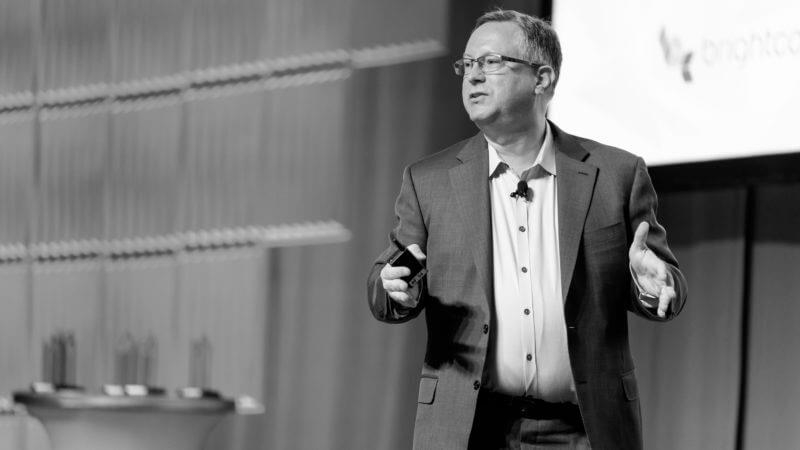 Brinker explains how marketing technology has evolved from the mainframe to the cloud. He says that although we have many more components in our solutions now, properly connected they have the potential to make things much simpler. Marketers have more flexibility to customize their stacks with point solutions as well. Thaker says that with so many options, marketers can find solutions that fit their needs, not the other way around. “Now that we don’t really have to think about having to put a square peg into a round hole, we can start to really shape the way that the technology maps to how we want to be as a brand,” Thaker says. Brinker and Thaker also discuss how to choose martech vendors, what to do about “frankenstack” marketing stacks and how to improve the customer’s experience with a smoothly running stack.